August is Psoriasis Awareness Month. We’re joining in by raising awareness of this often painful skin condition and the role stem cells could play. Psoriasis is a condition of the skin which causes patches of skin to become covered in silvery scales which are red and flaky. These patches of skin can become itchy and sore. Psoriasis usually only affects small areas of skin, usually the lower back, scalp, knees or elbows but in some cases it can appear anywhere on the body. While psoriasis can occur at any age, it is most common in adults under the age of 35 and is equally prevalent in both men and women, affecting approximately 2% of the British population. Psoriasis is a chronic condition with a cyclical nature where that patient will suffer only very mild symptoms or even no symptoms at all followed by periods where the symptoms are more severe. 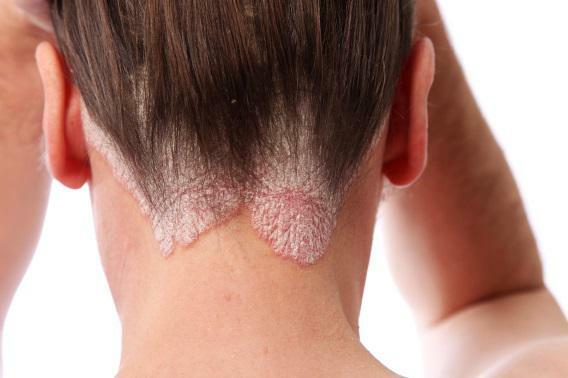 The severity of psoriasis is unique to each patient. For some patients psoriasis is a minor irritation while for others, their quality of life can be greatly affected by the condition. There are a variety of risk factors and causes of psoriasis such as family history, weight, smoking and even stress. This list is by no means exhaustive but gives an indication to the everyday issues which could trigger a flare up of psoriasis in sufferers. Stem cell transplants have been observed to have a positive effect on psoriasis, however, this is usually a side effect of another treatment for example; a patient with both psoriasis and cancer has a stem cell transplant for treatment of their cancer but finds that their psoriasis has also improved or remitted. There have been some very small but promising studies with stem cells and psoriasis but it is important to stress that these studies are very preliminary.